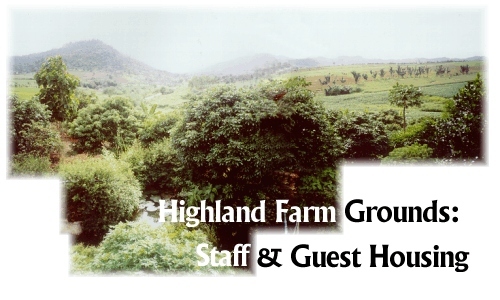 Highland Farm & Wildlife Refuge is located 43 kilometers south of the city of Mae Sot (Tak prefecture) near the Burmese border. The farm is on Route 1090, which is the only road to Umpang, a special wilderness area south of the farm. 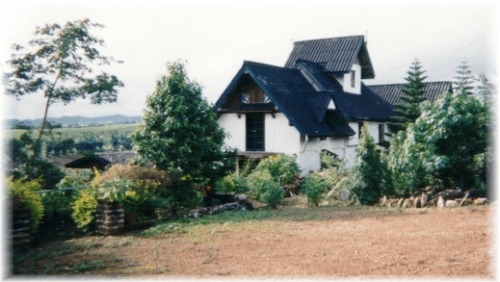 Two Staff/Guesthouses were recently constructed separate from the main house. The accommodations include a lounge room, bunk beds, small kitchen, western bathroom facilities, and TV/VCR. Delicious meals are prepared and local transportation is available. An herbal health sauna is also on the premises. Bill and Pharanee are very friendly and will make sure your stay is comfortable. With the creation of the Gibbon Sanctuary and its almost completed Primate Care Clinic, the farm invites serious scientists and students in primate (gibbon) research to apply for an extended stay. 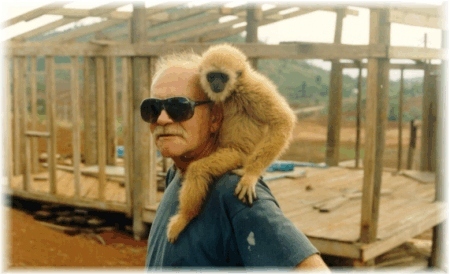 This is an excellent opportunity for researchers (non-invasive studies) to not only collect and disseminate valuable information on gibbons, but to increase global awareness about the beauty of these animals and their endangered future. Our year round temperate climate, diversity of plants on the farm and the great area it covers create a perfect laboratory for anyone studying horticulture. We welcome intern students who are researching plant cultivation and reforestation techniques to apply for the volunteer farm/plant cultivation job. The surrounding area has many unique and interesting farms to visit such as organic farms and village hill tribe fields. Special room and board fees are available for volunteer primate or horticulture research students, which includes access to transport vehicles. A one-month minimum stay is required for volunteers. 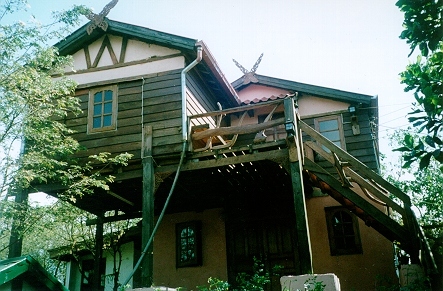 Extended stay is also offered to individuals who would like to relax and unwind in a mountain farm environment. In these special cases it is optional to take care of the animals, being involved in reforestation and farming, or learning Thai culture and Thai cooking. Just SUBMIT a form about your visiting interest. Go to CONTACT US link and email us about your interest. We will provide you with requested information.